Bishop LaValley, the second of six children of Ronald (deceased) and Doris LaValley, is a native of Mooers Forks, NY and was raised in St. Ann's Parish. He was born on March 26, 1956 and completed his primary and secondary education at Mooers Central in Mooers, NY and Northeastern Clinton Central School in Champlain, NY. He received a B.A. from the University of the State of New York and a Certificate of Studies in Philosophy from Wadhams Hall Seminary-College. Prior to his entrance into Wadhams Hall Seminary-College in January 1983, Bishop LaValley served a six-year tour of duty with the United States Navy. He completed the Pre-Theology Program at Wadhams Hall in May 1984 and received his Master of Divinity degree from Christ the King Seminary in East Aurora in May 1988. The bishop was ordained to the Diaconate on February 27, 1988 and to the Priesthood on September 24, 1988 by Bishop Stanislaus J. Brzana. Upon ordination, he served as deacon and parochial vicar at the Church of the Sacred Heart in Massena. During this time, he was named as the Associate Secretary of the Marriage Tribunal and was elected to serve on the Council of Priests. In 1992, the bishop began studies in Canon Law at St. Paul's University in Ottawa, Ontario, Canada where he was awarded his M.C.L. and J.C.L in May 1994. Upon the completion of his graduate studies, Bishop LaValley was named as Administrator of St. Peter's Church in Hammond and St. Patrick's Church in Rossie and was appointed Adjutant Judicial Vicar. In 1996, Bishop Paul S. Loverde named him Episcopal Vicar for Diocesan Services and Chancellor of the Diocese of Ogdensburg with residence at Wadhams Hall Seminary-College. In January 1998, in addition to his diocesan responsibilities, the bishop was named Pastor of St. Raphael's Church in Heuvelton. 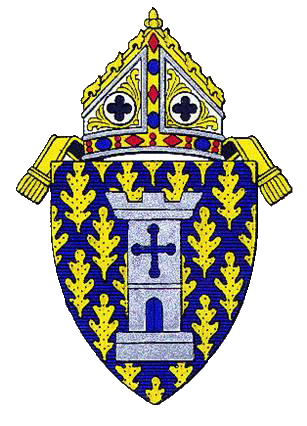 In June 1999, he became Administrator of St. James Church in Gouverneur while continuing to serve in his diocesan positions. In June 2000, he returned to St. Raphael's Church in Heuvelton as Pastor and continued to serve as Episcopal Vicar and Chancellor for Bishop Gerald M. Barbarito. In July 2003, Bishop LaValley became Rector of St. Mary's Cathedral while retaining his diocesan offices. In August 2004, Bishop LaValley was relieved of his duties as Episcopal Vicar and Chancellor by Bishop Robert J. Cunningham, and appointed the Bishop's delegate to implement and oversee compliance with the Charter for the Protection of Children and Young People. In this capacity, he continued to serve as Chairperson of the Diocesan Review Board. On May 28, 2009, the College of Consultors elected Bishop LaValley as Diocesan Administrator, upon the installation of the Most Reverend Robert J. Cunningham as Bishop of Syracuse. The bishop continued as the Diocesan Administrator until his Ordination and Installation as the 14th Bishop of Ogdensburg on Friday, 30 April 2010.